For Volume 4, Maradona will appear! Diego Maradona is one of the greatest players to have ever stepped onto a football field! He is knew the legend player who led his respective country to the pinnacle of Football greatness. Obtain this Legend in myClub to build your dream squad. 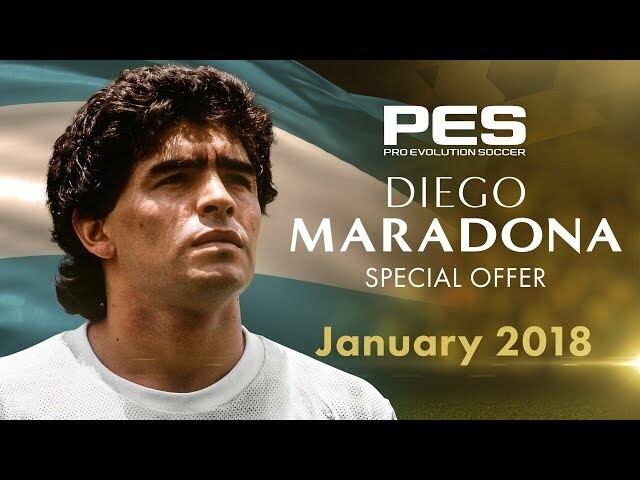 Manadona will be available in PES 2018 (iOS/Android) from Monday, January 22th until Monday, January 29nd.